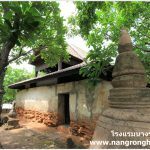 KhunKong Temple,The Beautiful Temle (Northeast Buddhist Holy Temple) in Nangrong Buriram. 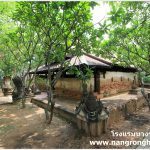 KhunKong Temple ( previously known as ” Khun Kong “) is the Buddhist temple, was established in Ayutthaya Period in B.E. 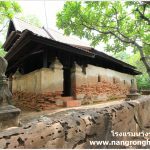 2150 while King Naresuan was leading the army to conquer Khmer. 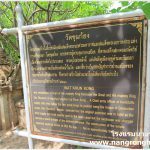 Khun Kong, a chief army officer of foodstuffs supply who followed decided to mobilize funds to build the temple called ” WatKhunKong Temple” and then renamed to ” KhunKong Temple”. 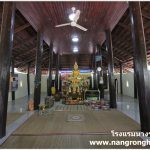 There are beautiful mainhall,ordination hall and monk’s cells inside the temple. 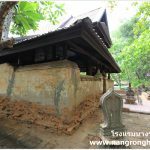 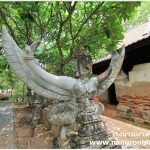 KhunKong Temple( previuosly known as “Wat Khun Kong “) is the one of the oldest temple, was established in B.E.2150 and got “Wisungkhamseema”,the royal granting of the land to a particular temple by announcing in royal decree, in B.E.2260. 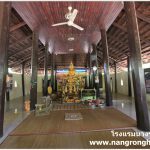 The temple is located on the plains between the fields and the village. 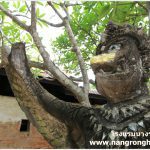 It is about 2 kilometers from northeast of the district in the municipality. 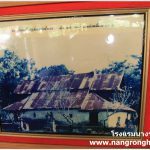 Its territory to the north by fields and Lam Nangrong Dam, to the south by High Way Chokchai Detudom, to the west by Sappakitkosol Road and Nangrong Village, to the east by Lam Nangrong. 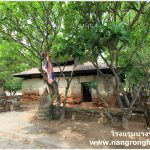 A total area of approximately 25Rais, 2 Ngan, 82 Square Wah. 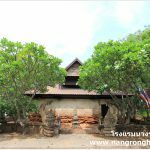 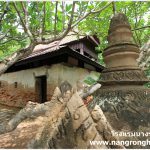 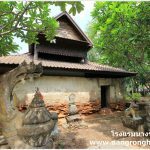 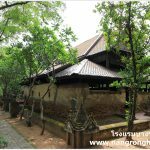 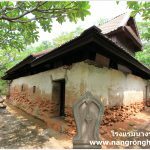 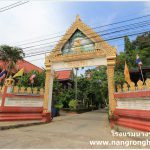 Wat Khun Kong was established in reign of history majesty King Naresuan the Great and his majesty King Eka Dhotsarot of Ayudhaya Kingdom by Khun Kong, a chief army officer of foodstuffs supply while the military basement was settled in Nangrong Town. 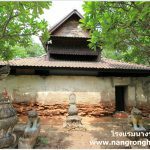 This temple was established before the forceSangha Act of 1902. 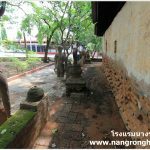 The Prominent Point : The Soldier statues standing in front of the temple instead of giants. 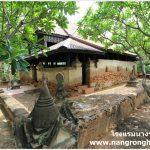 Since the old ordination hall ,was got “Wisungkhamseema”,the royal granting of the land to a particular temple by announcing in royal decree, in B.E.2260, surrounding the wall 1.5 meters high in the south and two soldiers called ” Chao Khun Left & Chao Khun Right” standing face to face as the guard protect town from enemy becauseof moat.